Music Ministers Cindy & Danny Byrum know that our heart's cry is to come into the presence of God. Through expressive praise, we magnify Him above the circumstances we face. Through worship, we offer unto God thankful praise to Him who is worthy of all praise. We believe the expression of worship is found in God's Holy Word through dancing, singing, clapping, shouting, and hands lifted high. We strive to hear and be obedient to the voice of God and the moving of the Holy Spirit and His giftings in our services. Teens, ages 12 - 18 years of age finding who they are in Christ and how to live a totally overcoming life in Him, dealing with the specific tests and trials that they face each day in today's society. Led by Steven & Donna Grigsby, Aftershock Youth Ministries meets each Wednesday night at 7 PM following Praise and Worship in the main sanctuary. R.O.C.K. (Reaching Our Community's Kids) is a Children's Ministry for ages 2 - 4 years and 5 - 11 years. Led by Ruth Turner, this group teaches pre-teens how to live an overcoming life through lessons, games, activities and just plain fun. R.O.C.K. meets every Sunday morning at 10 AM in the children's department of the main church building. Every 3rd Sunday of the month, the children are honored in the main sanctuary and receive a gift from Pastor Phil during the morning service. Women's Ministries is led by Director Cathy Grigsby. The meeting time for this group is at 7 PM on the first Wednesday night of each month at the church with guest speakers or TCC ministers speaking on currently relevant topics that address issues and concerns of the Christian's everyday life. Occasional fellowships are scheduled after meetings for more one-on-one interaction and building of relationships. Men's Ministries is led by Director John Champion. The meeting time for this group is at 7 PM on the first Wednesday night of each month at the church with guest speakers or TCC ministers speaking on currently relevant topics that address issues and concerns of the Christian's everyday life. Occasional fellowships are scheduled aside from regular meetings for more one-on-one interaction and building of relationships. This is a fun-loving group, ages 50 and older, who love to get together for meals, activities, singing, games and travel. 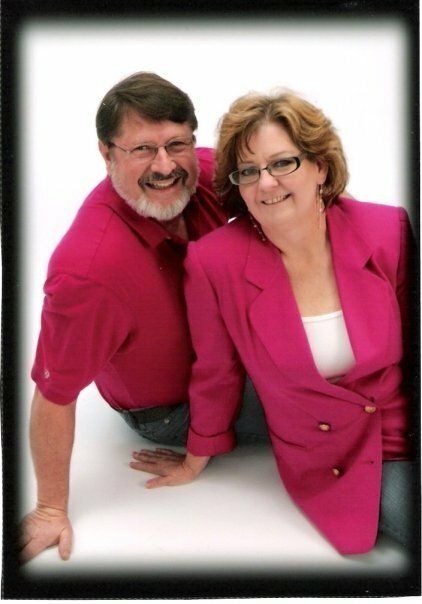 They have enjoyed trips to Branson as well as multiple trips to Liberty Opry and more. Meeting times and events are generally TBA and are announced in the Sunday morning & Wednesday night services or on the Triumph Christian Center Facebook page. What a great way to give and receive encouragement! Come see what's in store! Crusader's is a ministry for those, ages 30-49, who enjoy getting together for fun and fellowship, whether it be a movie, bowling, concert, or games. Steven and Donna Grigsby keep this group moving! All meetings or events are on a TBA basis, being announced in the Sunday and Wednesday night services, on the Triumph Christian Center Facebook page, Crusader's Facebook page, on the Events section of this website or just a plain old phone call or text! Stay tuned for some fun! Arron and Bridget Dugas are focused on making sure that young adults, ages 19 - 29, know they are a vital part of Triumph Christian Center and of the Kingdom of God. They desire to draw young adults from all walks of life into a close, family-style relationship where they can draw on the strengths of others who have been where they are and can relate. Focal Point meets once a month in a cozy, home-style meeting with a meal and one-on-one fellowship. Sometimes Focal Point and Crusaders join together for activities. They also attend concerts, Christian movies and other entertaining events. Meetings are announced during services, via Facebook, emails and phone calls.